Were you, dear reader, aware that the man of the hour in Scotland, John Knox, once rowed a galley ship? No, it wasn’t for exercise. No, it wasn’t for some national pride of the fastest galley ship in a sailing contest. Simply put, John Knox was enslaved on that ship. Some years earlier, Knox had entered St. Andrews Castle with three young children in tow. Their parents had entrusted him as a tutor. When events following the murder of a Roman Catholic cardinal went badly for anyone even remotely suspected of being part of that deed, Knox was urged to flee to that Protestant bastion for safety purposes. He was not one of the individuals who had killed the cardinal, but he did go there for safety. While residing at the castle, the chaplain to the soldiers at the chapel was urged by the congregation to extend a pastoral call to Knox, recognizing his spiritual gifts. At first, Knox resisted, but finally gave in to the invitation. He began to preach boldly on themes familiar to the Protestant reformation then beginning in the land of Scotland. At the end of June in 1547, the French fleet besieged St Andrews Castle. On this day, July 31, 1547, the French gained victory over the defenders inside the castle walls. Promises were given to spare their lives, and an offer made to enter the service of the French king, but if declined, then they were to be conveyed to any country they wished, provided it was not Scotland. Upon arrival in France, immediately the terms of surrender were annulled, and they became prisoners of war. John Knox became a galley slave for nineteen months. While there were months in which the slave ship did not sail due to weather and cold conditions, in warmer months Knox labored under cruel conditions, of which he writes in many a book and sermon afterwards. He was loaded with chains. He spoke of the sobs of his heart during the imprisonment, in great anguish of mind and vehement affliction. These were the torments he sustained in the galley ship. Amidst all of the physical mistreatment, there came also attacks upon their faith. Daily, the Romanist mass was offered, with expected reverence by the prisoners. As soon as it began however, the galley slaves would cover their heads so they wouldn’t hear the words of the service. Daily, there were efforts to get the prisoners to confess the Romanist faith. Once, a figure representing the Virgin Mary, was pressed between the chained hands of a slave, with a command to kiss the figure. The slave, who many believer to be John Knox himself, threw the figure overboard into the sea, loudly proclaiming the Virgin to save herself by swimming! After this, there were no more attempts to convert the prisoners. Whatever means was used (and even Thomas M’Crie was not sure what it was), after 19 months in harsh conditions, John Knox was freed and he returned to continue his ministry in England and Scotland. It wasn’t God’s will that Knox should be kept forever as a galley slave. It was God’s will to free him so as to allow him to continue his ministry in the Reformation. All of us ever live within the scope of God’s will throughout all our lives. Let us submit to that will, in large areas as well as small areas. This author still possesses all three volumes in his personal library. Bought while a Sophomore in college in 1960, the publishing date of their reprint, Thomas Watson’s one-hundred and seventy six sermons on the Westminster Catechisms of the Westminster Assembly are timeless in their assistance to every child of God who desires to know theology and have it applied to his or her spiritual life. I can testify to that, having underlined and proclaimed many truths from their pages for the edification of all Christians during my forty years in the pastorate. The remarkable truth about their author is that we do not know either the time of his birth or the death of it either. They are missing from the history of the church, and known only by God. However, we do know that he was buried on this day in history, July 28, 1686, and so we write this brief biography on his life. Much of the latter is taken from a brief memoir written by none else than Charles Spurgeon. Thomas Watson attended and graduated from Emmanuel College, Cambridge with a B.A. Degree in 1639 and a Master’s degree in 1642. It was said that he was a laborious student, prompting Spurgeon to quip “the conscientious student is the most likely man to become a successful pastor.” Watson went on to be just such a preacher at a Church of England parish and church called St. Stephen’s, Walbrook in London, England. But let there be no doubt here. Watson was a Presbyterian through and through. And to his congregation, many came, or as Spurgeon put it, the church was filled constantly with worshipers. Among his sermons during those sixteen years was, as mentioned above, a thorough proclamation of the principle themes of the Westminster Confession of Faith. This author has in his years of ministry in catechetical studies among the covenant children of the church, adult studies in the Sunday School and Bible studies, and yes, even sermons from the sacred desk, used Watson’s thorough grasp of biblical texts, clear expositions of Bible doctrine, and practical applications. It might be 300 years old, but biblical truths such as these do not ever pass away in teaching and application. 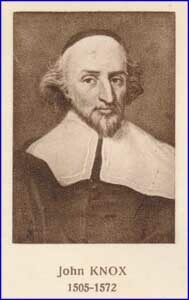 There is found in two of his three books on the title page this phrase “Ejected by the Act of Uniformity.” We have mentioned before about that terrible act which threw out the Puritan members of the Clergy in the Church of England, countless of whom were Presbyterian clergy. Yet in the next 20 years until his death and burial in 1686, Watson continued on in the proclamation of the Word of God wherever people would come to hear him. Due to a weakening in his health, he was praying in his closet when he departed from this earth. I read on the web recently something which disheartened me. Among the characteristics of a church pulpit committee was that they were looking for a minister who had a well known name! The apostle Paul to the Corinthians would write in 1 Corinthians 2:4, 5, “my message and my preaching were not in persuasive words of wisdom, but in demonstration of the Spirit and of power, so that your faith would not rest on the wisdom of men, but on the power of God.” The fault is ours, is it not, brothers and sisters in Christ, that we pay too much attention to the outward and external characteristics of those who minister to us the Word of God, and not enough attention to the plain and simple proclamation of the Word of God as empowered by the Spirit of God? If we want the spiritual power of the days of yesterday, we must set our hearts on men who are filled with the Spirit of God, who preach the whole counsel of God. p style=”text-align: justify;”> Challenged by his land owner father to become a minister, Donald Cargill resisted the suggestion at the first. His inclination was not the gospel ministry. Finally, with what his father had put into his hand and heart, young Cargill at last set aside a day to prayerfully consider whether God was calling him to this ministry. It was said that a text from Ezekiel came into his mind, “Son of man, eat this roll, and go speak to the house of Israel.” Then when Presbytery chose the same text from Ezekiel during his trials, there was no doubt of his divine calling to the ministry. One of the Presbyterian pastors who was a decided patriot was the Rev. Alexander McWhorter. Born of Scotch-Irish parents on July 26, 1734, his father was a linen merchant and later a farmer. He was also with his wife, a decided Presbyterian. They had emigrated first to Northern Ireland (Ulster) and then to the American Colonies. After the death of his father, Alexander at age fourteen moved with his mother to North Carolina to join three brothers there. They attended a Presbyterian church where Alexander was exposed to revival services which left him anxious, it was said. However, he joined the Presbyterian church. Later he would return to New Jersey after the death of his mother. 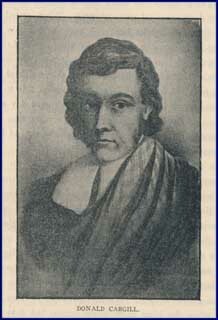 He entered the College of New Jersey and graduated in 1757. 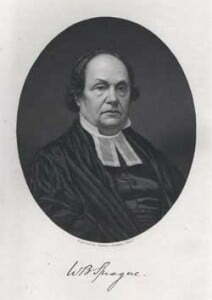 Called to the ministry, he studied theology under William Tennent of Log College fame, and licensed to preach by the Presbytery of New Brunswick. After a trip to the New England area, he was called to be the teaching elder at the Presbyterian Church of Newark, New Jersey, where the bulk of his pastoral ministry was to take place. It was during this long pastorate that God’s Spirit led him to have an active role on the battlefield for the independence of the colonies from England in the Revolutionary War. When General George Washington traveled through Newark on his way to take command of American forces, Pastor McWhorter met him on the way. It would not however be the last time. They were to have many more occasions during this trying time in the history of this new nation. In fact, on one occasion, General Washington asked the Presbyterian pastor to interview two spies which the American troops had captured. The future president asked the Presbyterian clergyman to deal with them spiritually while at the same time to ascertain from them the size and strength of the British forces! Forced to flee from Newark by British forces who ransacked his parsonage, McWhorter joined the American army as an unofficial chaplain. He was present on Christmas eve when the American army defeated the hired Hession mercenaries in Trenton, New Jersey. After that victory, Pastor McWhorter became the chaplain of Brig. General Henry Knox Continental Artillery Brigade. It was said that every Lord’s Day when Pastor McWhorter was in the pulpit, General George Washington sat under the preaching of our Presbyterian Patriot Pastor! He would serve as an Army chaplain until 1778 when a lightening bolt struck his wife back in Trenton. He hurried home from his Army calling to care for her. Other than a brief span to pastor a Presbyterian church in Charlotte, North Carolina and be the president of a academy there, the British forces had marked him as an agitator. When they invaded that area of North Carolina, he was forced to flee for his life and lost all his ministerial books in the process. He returned to Newark, New Jersey where he served as a pastor in earlier years until his death in 1807. Words to Live By: It takes an extraordinary man to have an effective ministry in two spheres of ministry. Certainly one’s congregation has to have a wider view of mission than simply the local one as well. Not many teaching elders have the spiritual gifts to be able to minister effectively in two places of ministry. Our featured figure on this day had those special gifts of ministry. And yet for such a one to be effective, they must have the spiritual help of gifted lay people. How can you help your local pastor in fulfilling more than one calling of ministry in your area? Think prayerfully about it, talk with your pastor of your willingness to use your gifts, and get busy in the work of the Lord. What say you of the importance of the Chief Magistracy, or the Supreme Judiciary, of the separate States? Is not each vitally connected with the public weal? If either the reins of government or the scales of justice are not held with an even hand, what else can we expect than that the State will become a scene or restlessness and agitation, if not of open revolt? To be the Governor of a State, or a Judge of the Supreme Court of a State, is to occupy a position from which there goes forth a current of influence that works a channel for itself through every portion of the community. But of Governors, this College has furnished twenty-seven; and of Judges of the Supreme Court, a hundred and six; and on each list I find names now a few, which our common country has long since adopted as her own. As a representative of the latter class, I think of Roger Minot Sherman; and as a representative of both, I think of John Cotton Smith;–two as find spirits, I had almost said, as our fallen humanity can show. Judge Sherman I knew well—he was the friend of my early as well as mature years; and I may be allowed to pause beside his grave long enough to place an humble garland upon it. His mind was a clear as the sun, and as comprehensive and well balanced as it was clear. His heart was fertile in generous feelings, and purposes, which were sure to ripen into acts of substantial beneficence. There was a calm dignity in his manner that bespoke wisdom and thoughtfulness; and his movements seemed to be by rule; but his exactness was so qualified by kindness, and even gentleness, that he won the confidence and love of everybody. He was deeply imbued with the spirit of the Gospel, and you could not find a Christian whose heart would throb more tenderly at the remembrance of his Saviour’s love. He was a great lawyer, and a great judge, but he was a great theologian as well—I remember how ably and impressively he used to expound God’s word to us at the weekly conference, in the absence of his pastor, when it seemed to me that we should scarcely have been gainers if we had had Dr. Dwight in his place. He knew how to guide the minds of the inquiring, to resolve the scruples of the doubting, to encourage the timid and rebuke the wayward, as well as any minister you would meet. His life was a scene of eminent usefulness; and, far beyond the community in which he lived, his name will be held in profound reverence by many generations. If a College is an acknowledged fountain of vast influence, then surely he who presides over such an institution, has a hand upon the very springs of social and public happiness. He is constantly giving direction to minds that are soon going forth to give direction to the concerns of the Church and the State; and through them he circulates invisibly but most effectively throughout the whole domain of society. No less than forty-two of our alumni have held or are now holding this important office,—to say nothing of the multitude who occupy Professorships and other posts of instruction, many of which bring them in immediate contact with a greater number of youth than even the Presidency itself. Among the earlier Presidents which the college has furnished, are Jonathan Dickinson, Samuel Johnson, Jonathan Edwards, and Aaron Burr,—names which have lost nothing of their freshness by the lapse of a century; and, as we come further down, we find the catalogue illumined with other similar lights of equal brilliancy. Who can begin to measure the influence which this College has exerted merely in training others to take the direction and mould the character of institutions like itself? Exaggeration may be a vice in some other nations, for aught we know, but we are sure it is the besetting sin of our own. “The house was crammed to the ceiling,” we hear it reported, when the vacant seats would hold as many more. “The procession consisted of ten thousand well-dressed, respectable people,” yet when counted, there were after all but nineteen hundred and fifty persons all told there, and most of them were shabby fellows enough, some, indeed, just out of the penitentiary. Many have the habit of using the little, but significant words “never,” “always,” and the like, with a perfect looseness. “Jack, you are the laziest fellow existing, and never do any thing from morning to night,” whereas he had that very day, when this sweeping assertion was made, been running on nine errands for the complainant to the milliner, grocer, and dry goods store, besides tending the cradle two hours together, and answering the door-bell seven times, to tell callers that the lady had gone into the country, that is, was busy upstairs preparing a dress for some of the anniversaries. We overheard one individual charging another with making a thousand mistakes in a piece of writing, which did not, on investigation, contain more than five hundred words in all. Moreover, this man alleged, that a certain newspaper notoriously carefully printed, “was always full of mistakes, the very worst, in this respect, in the whole country.” On being challenged to point them out, he did not find one, but protested that he could, give him time. This hyperbole of speech runs into extravagance of conduct, but of this, nothing will now be said. Concerning this disagreeable trick of speech, it is to be remarked, that it defeats itself. One cannot be positive about the statements of a man who has superlatives perpetually on his tongue. Overcharged assertions are falsehoods, though they may not be lies, for the want of a malicious intent. But they wholly deprive the person employing them of all credit in his statements. He commits the very common mistake of destroying the vigor of his language by the intense and overwrought phrases which he thought would give it strength. The impression made by such a person is therefore feeble, his expression being received as sound and fury, signifying nothing. The way to affect by language, is to speak the truth in simplicity, nothing exaggerating, and setting down naught in a false light. Renounce this injurious habit, for it robs the language of its strength. When superlatives and intense expressions are made to do service on trivial occasions, nothing will be left for use at times when all the resources of the language will be required as vehicles for thoughts the most powerful, and emotions the most profound. A gentleman of this school addressed us the other day somewhat as follows: “On my arrival at Washington, you know, I was sent for by the President, you know, who wanted to see me on a matter of importance. I did not suppose I should see Miss Lane, you know, but I was shown, you know, by express command of the President, into the drawing-room where she was. I found her as charming in conversation, you know, as she was fascinating in person,” etc. Now, I did not know any of those things, and what is more, I did not believe them; but such poor gabble as this prevails extensively. Gentlemen, and sometimes ladies, too, must have some cant word to bring in frequently to fill up, round off the style, and help them with its oar to scull along. Those who have the habit of profane swearing make use of the windy sails of oaths for this purpose, of which it must be said they are only worse than the everlasting “you know,” one hears in all companies. It was on this day, July 22nd, in 1933 that Wiley Post became the first man to fly around the world, traversing 15,596 miles in 7 days, 18 hours, and 45 minutes. Which has absolutely nothing to do with our post for today. Wiley was not a Presbyterian, to the best of my knowledge. It was just an interesting fact that I came across yesterday. Some will remember Wiley as the pilot who was flying Will Rogers across Alaska when their plane crashed and both men died, on August 15, 1935. Man knows not his time. 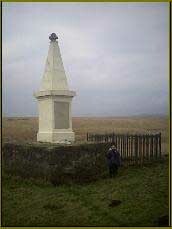 So too for Richard Cameron, that noble Scottish minister, who died at Ayrsmoss on this day July 22, 1680.